After sporting the world’s longest trenchcoat at the MET Gala last year, Priyanka Chopra, made another stunning red carpet appearance in a custom made Ralph Lauren gown at the 71st Annual Costume Institute Gala that was held in New York’s Metropolitan Museum of Art. Fashion gurus gave Priyanka full points for staying true to the exhibit’s theme – “Heavenly Bodies: Fashion and the Catholic Imagination” as she walked the red carpet in a Ralph Lauren velvet gown, accessorized with a bejeweled hood. While fans called Priyanka and Ralph Lauren “a match made in heaven”, the global icon went all out to represent her home country at the MET Gala, which is undoubtedly one of the most watched fashion platforms in the world. 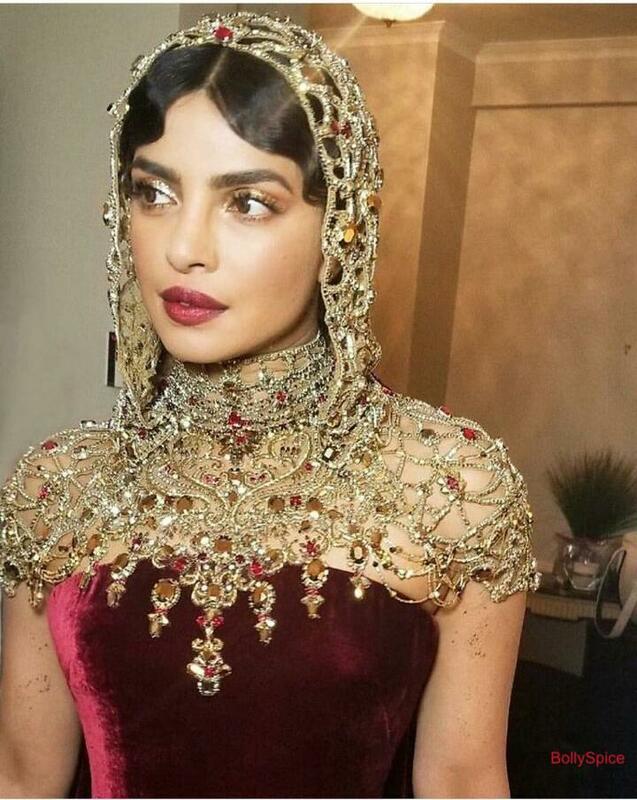 Priyanka bought India to America with her bejeweled hood, that was hand beaded and embroidered in India and took over 250 hours to work on. The ornate piece is made of red Swarovski crystals and gold beading. Hosted by Anna Wintour, Amal Clooney, Rihanna and Donatella Versace the MET Gala was attended by the biggest movie stars, musicians, sports personalities and social media sensations in New York. 16 queries in 0.646 seconds.